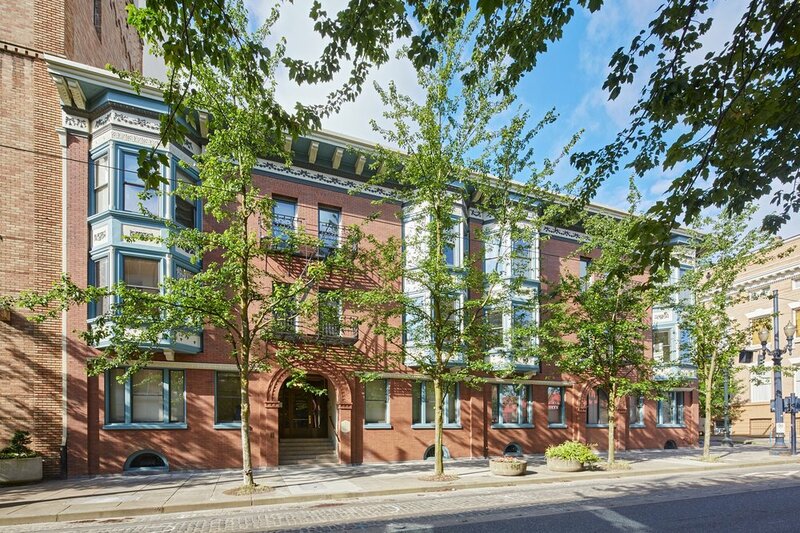 Located on the SW 14th Avenue block at Morrison Street in downtown Portland, the Bronaugh Apartments provide 50 units of affordable housing for very-low-income residents in an area of fast-escalating housing costs. The 1905 structure, listed on the National Register of Historic Places, was one of 11 rent-subsidized housing projects targeted in 2008 by the Portland Housing Bureau as being at risk of conversion to market-rate housing. It became the last of the 11 to be preserved, when, in 2013, REACH Community Development assembled funds to purchase the property from a private owner. 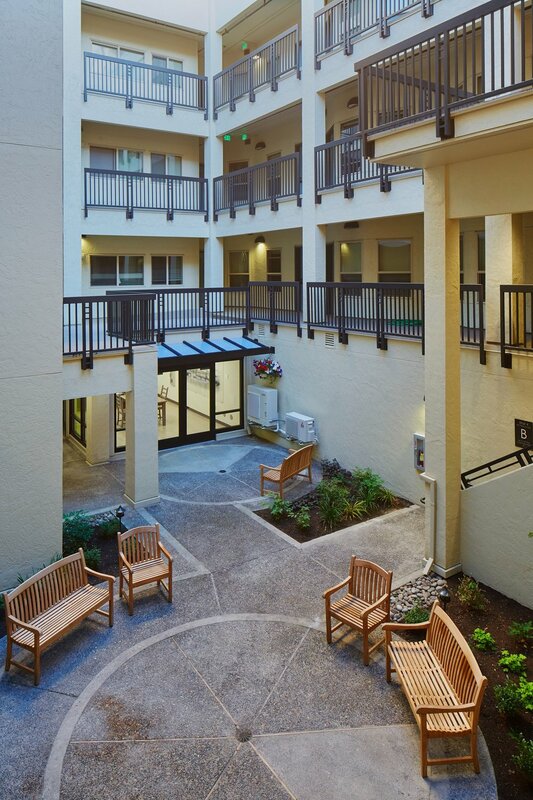 HDC worked with REACH, Walsh Construction, and Carleton Hart Architecture to plan and manage a renovation that extended the building’s life and greatly improved resident safety and comfort. The work involved a complex seismic upgrade—88 micro-piles (six-inch-diameter steel tubes) driven as far as 50 feet into the earth and connected to new concrete shear walls. It also involved the loving restoration of the building’s historic details—such as the cast plaster ornaments in the spandrels of the bay windows, seen after being repainted in the photos above. Seismic Reinforcement: In addition to installing micropiles and connecting them to concrete shear walls, the seismic upgrade involved directly reinforcing the building’s brick masonry. Using a system devised by engineering consultant KPFF, metal pins were driven through several wythes (layers) of masonry; the pins will hold the masonry in place during an earthquake without marring the Bronaugh’s historic exterior. Historic Restoration: With the help of historic preservation consultant Venerable Development and historic architect Paul Falsetto, the Bronaugh team carefully restored the building’s historic details. Exterior bricks were cleaned, replacement bricks and mortar meticulously color-matched to the originals, and medallion work at the cornice hand painted. Unit Upgrades: Each of the 50 apartment units had different floor plans, and each required a different solution for finish details. It required a puzzle master’s touch to perform upgrades such as installing high-efficiency water heaters that needed substantial clearance.